1. Players registered with one Association may only be registered with a New Association once the latter has received an International Transfer Certificate (ITC) from the Former Association. The ITC shall be issued free of charge without any conditions or time limitation. Any provisions to the contrary shall be null and void. The Association issuing the ITC shall deposit a copy with FIFA. The administrative procedures for issuing the ITC are contained in annex 3 of these Regulations. 2. An ITC is not required for a player under the age of 12 years. Therefore, players registered with one Association may only be registered with a new Association once the latter has received an International Transfer Certificate from the Former Association. If a player has played for a Club under the jurisdiction of another National Association, he cannot play for a Club in England without The Football Association being in receipt of the necessary ITC. However, if a player comes from abroad but has not played in the other country then clearance is not required. In this respect, it is recommended that the player signs a statement to this effect and if he is under 18 it should be countersigned by a parent or guardian. A clearance will not normally be issued for a player under the age of 18 unless his family is moving for non-football reasons. Within the EU/EEA a player can move countries over the age of 16 subject to the labour laws of the country he is going to, and confirmation that his education and training will be looked after by his new club. 2. The Association which a player is leaving will issue the International Transfer Certificate to the National Association to which the player is moving. This is now only allowed within 2 transfer windows in a year. From the end of a League’s season up to the 31st August and for the month of January.] – Note: NOT APPLICABLE at County level. 3. The Football Association shall make a request for an International Transfer Certificate to the issuing Association. In order to identify a player correctly the request should include the player’s full name, date and place of birth and the name of the Club for which he was last registered together with written confirmation that the Club wishes to register the player. 4. An Association, having received a request from another Association, is obliged to issue an International Transfer Certificate providing the player is not under written contract to a Club, is not suspended from football for disciplinary reasons, and has fulfilled all obligations to the former Club. 5. Clubs seeking International Clearance should make a request in writing to the Registrations Department of The Football Association. The request may be faxed direct to the Department on 0207 287 0563 / 5216. E-mails can be sent to: Registrations@TheFA.com. Clubs and players may be required to complete a questionnaire. 6. The Football Association will ask the National Association concerned via fax for an International Transfer Certificate. This will be done by post in the event of a fax facility not being available. 7. When an International Transfer Certificate has been issued to this Association the Club and/or player will be notified by fax, telephone, e-mail or letter by the Registrations Department. Until notification has been received the player may NOT be registered or play for a Club in England at any level. 8. Such a player may NOT play in a competitive fixture at any level in England until an International Clearance has been received and registration has been accepted by a League and/or this Association. Letters from National Associations and Clubs are NOT sufficient to enable a player to play competitive football. 9. Players may train or play in behind closed doors’ friendly matches without International Clearance. However, in these circumstances, the Club should have the permission of the player’s former Club. For friendly matches played in public the written permission of the other National Association is required. 10. Should The Football Association not receive an International Transfer Certificate, or a reply stating a reason why this is not being issued within 30 days of the request, then a provisional clearance can be issued. 11. FIFA Regulations governing the Status and Transfer of Players are published in The Football Association Handbook. 12. 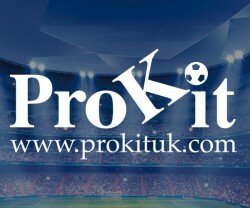 Even if the International Transfer Certificate is received players who DO NOT hold a UK or EU passport, or do not have Home Office authority to live and work in the UK, CANNOT take part in any match at any level at which spectators pay for admission. This is a Home Office ruling. 13. It must be appreciated that delays do occur when requesting International Clearance from other National Associations. When a request is made to ourselves by a Club this is faxed as soon as possible, usually the same day, to the other National Association concerned. We are then in their hands as to how quickly, or slowly, a reply is made. This Association gets as exasperated as Clubs and Players when delays occur, especially as we wish each case to be concluded as quickly as possible in order to save this office making many repeated requests. IT IS STRONGLY ADVISED THAT OTHER NATIONAL ASSOCIATIONS ARE NOT CONTACTED DIRECTLY AS THIS CAN DELAY THE REQUEST BEING DEALT WITH. Teams That Have Withdrawn Since A.G.M.